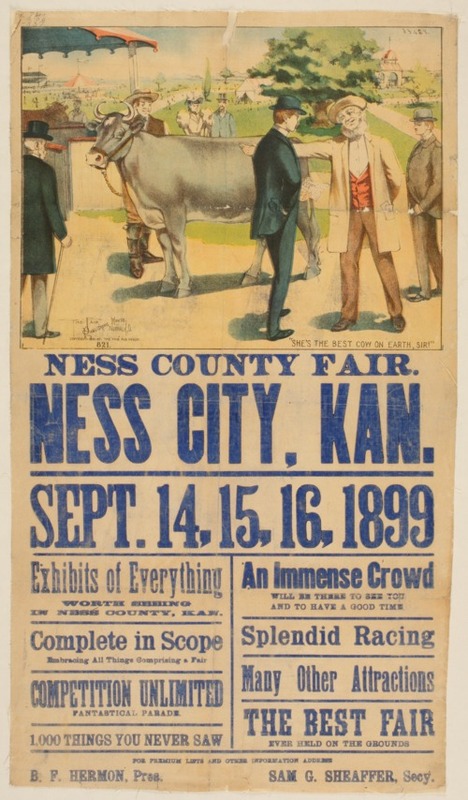 A cow is being shown with the caption "she's the best cow on earth, sir" on this Ness County fair poster. Some of the entertainment and activities listed include exhibits, a parade, racing, and a large crowd. Fair officers are B.F. Hermon, president and Samuel G. Sheaffer, secretary.